Los Angeles, CA February 28, 2013 – Eric Edson, author of The Story Solution, released a review of screenwriting / screenplay contests on his story writing blog. The review highlights various benefits, locations, costs and summarizes the value of each contest for budding screenwriters. Several aspects of the contests were considered, including the judging panel, the rewards and even the networking opportunities offered to contestants. The contests featured include American Zoetrope Screenplay Contest, Nicholl Fellowships in Screenwriting, Scriptapalooza Screenplay Competition, Final Draft Big Break Screenwriting Contest and Blue Cat Screenplay Contest. American Zoetrope Screenplay Contest – Show off your scriptwriting skills to Francis Ford Coppola. One of the primary reasons this contest is in the list is because it was created and is still judged by Francis Ford Coppola – the legendary director of Apocalypse Now and The Godfather. Most importantly, the top 10 finalists could win representation from one of the best artist management agencies in Hollywood including William Morris Endeavor, and CAA. Contests give screenwriters a taste of the realities of scriptwriting, which cannot be replicated by screenwriting books. Interested contestants can get more details about a particular contest from its official website. Nicholl Fellowships in Screenwriting – A scriptwriting contest from The Academy of Motion Picture Arts and Sciences: This is one of the most well-known screenwriting contests as it is conducted by The Academy of Motion Picture Arts and Sciences – the same organization that hosts the Academy Awards every year. The Academy Nicholl Committee judges the final winners of the fellowships. More contest information can be found on their website and Facebook page. Scriptapalooza Screenplay Competition – A respected creative screenwriting contest, The Scriptapalooza Screenplay Competition is administered by Scriptapalooza and the competition was founded in 1998. The main reason for this contest being featured in the top 5 is the fact that the judging panel consists of more than 80 managers, agents, producers and industry professionals who read entries. There is no doubt that this opens up a lot of opportunities for the contestants regardless of the final results. Visit the website or the Scriptapalooza Facebook page for more information about this contest. Final Draft Big Break Screenwriting Contest – Final Draft is the biggest screenwriting software manufacturer, and their Final Draft software is used by thousands worldwide. The reason that the Final Draft Big Break Screenwriting Contest is one of the best is because of the huge number of awards they offer in different categories. Most importantly, this contest is co-sponsored by Script Magazine, so winning scripts and writers are featured prominently in the on-line magazine. The Final Draft website and Facebook page offer more information about the contest and entry details. BlueCat Screenplay Competition – An upcoming scriptwriting contest, The BlueCat Screenplay Competition has been shortlisted because it offers two screenplay analyses by multiple judges for every submission. So irrespective of the final results, all the contestants have an opportunity to get their work reviewed by the best minds in the industry. Also, it is one of the few contests that offers screenwriting tips and conducts workshops for budding writers. Screenwriters can find a wealth of information on the website and by subscribing to the BlueCat newsletter. More contest details can be found on their website and Facebook page. Screenwriting contests not only provide much needed exposure, but winning a contest guarantees immediate production deal consideration, contacts with agencies and cash rewards that can help a screenwriter further his/her career. 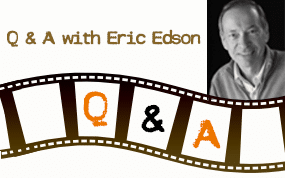 About the author: Eric Edson is a long-time member of the Writers Guild of America and the author of “The Story Solution”, a scriptwriting book which describes the process of creating a captivating screenplay. Based around the book, Eric created a website called The Story Solution that serves as a virtual repository of information for budding screenwriters. Having written over seventeen feature screenplays and collaborated with major Hollywood studios like Sony, 20th Century Fox, Warner Brothers, etc., Eric enjoys offering advice, screenwriting tips and creative screenwriting workshops for individuals looking to become successful screenwriters. Much as I would like to enter the American Zoetrope Screenplay Contest and be reviewed by Francis Ford Coppola no less, a budding writer like me will do best gearing up for what’s in front of me. The BlueCat Screenplay Competition seems to be my obvious choice since I get an opportunity to get my work reviewed by the experts. Before bringing in a winner, a contest first produces a new talent or enhances an existing one. 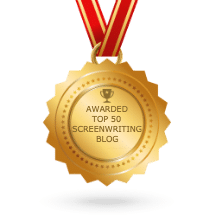 Having all these available screenplay contests recommended by Eric Edson is a great opportunity for budding screenplay writers to have their gifts tested and their talents sharpened. These contests are something to try on. Those screen writer should really be on one of them. Thanks Eric for posting them on you page. Eric Edson has done us aspiring scriptwriters a huge favor by listing contests where we have the greatest chance of getting our talents noticed and also further hone our craft. Contests bring out talents. New ones are discovered and old ones are refined. Having this list of screenplay contests makes it easier for screenwriters to choose which ones to focus on for quality participation. Screenwriting contests are the perfect way to get noticed by production houses. Screenwriters do not have to be winners to land some amazing deals. Just participating in these contests can open up so many doors for budding screenwriters. The Nicholl Fellowships in Screenwriting offers such fantastic prizes and imagine having your work reviewed by Francis Ford Coppola at the American Zoetrope Screenplay Contest! Truly, the best way to refine and enhance ones skills and potentials in writing is through involving screenplay contests. A writers different creations can be properly evaluated and recognized. These are real opportunities to have a breakthrough in the mainstream screenplay writing. Thanks for this amazing review. 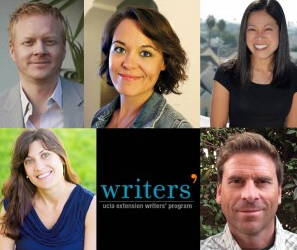 As an up-and-coming screenwriter, no event could give more value to how well you and your ideas could do than becoming a part of any of these prestigious contests. You can read all the screenplay writing books and screenwriting tips you can but nobody would be willing to take a shot working with you if you have not established any reputation or credibility in the industry yet. And for a starter in Hollywood and the film business, I believe that winning such contests could help anyone boost a budding career. This review is truly informative and helpful for amateur screenplay writers who intend to practice their writing prowess by joining different credible contests. Personally, Final Draft Big Break Screenwriting Contest greatly interests me for it provides a practical avenue for writers to show their talents and skills in professional writing.